For the past eight years, the news staff at WROC Channel 8 has also served as the WUHF Channel 31 news team. The content and the personalities on both stations have been the same. WHAM and WUHF are not merging. The two stations, via their corporate parents, have inked an agreement to share news and sales operations. "We're not going to try to pretend that it's some other product," says Chuck Samuels, WHAM's general manager. "We're just going to extend our news brand on to WUHF." But across the country, similar shared service agreements have come under scrutiny from media critics including journalists, public interest groups, and a few former members of the Federal Communications Commission. Critics characterize the agreements as stealth or covert consolidation — a legal way to get around FCC ownership limits. Generally, the FCC prohibits owning more than one Big Four network television station in a single local market. Critics say that the shared service agreements have the same effect as true mergers. They eliminate local media voices — a term that covers major dailies, weekly newspapers, radio stations, and television stations — and reduce the number of local reporters out on the beat, digging into important issues. A vigorous local media would lead to a better informed public, critics say, and higher-quality dialogue around local and national issues. "We really worry that this [use of the agreements] undermines the local ecosystems nationwide," says Todd O'Boyle, program director for Common Cause's Media and Democracy Reform Initiative. Samuels says that any consolidation associated with shared services agreements already happened in Rochester eight years ago, when Fox Rochester (WUHF) eliminated its reporting staff. What's happening now is not the elimination of a local media voice, he says, so much as a shifting of voices. The consolidation that’s happened in the radio industry nationally could serve as a cautionary tale for television, says Michael Saffran, a communications lecturer at SUNY Geneseo. Michael Saffran, a communications lecturer at SUNY Geneseo who's studied media consolidation, agrees. He says he doesn't expect the shift to change the quantity of local news that gets reported. "I think the net result for the market is pretty flat," Saffran says. But with the WUHF-WHAM agreement, there's an ownership overlap that didn't exist with the WUHF-WROC contract. 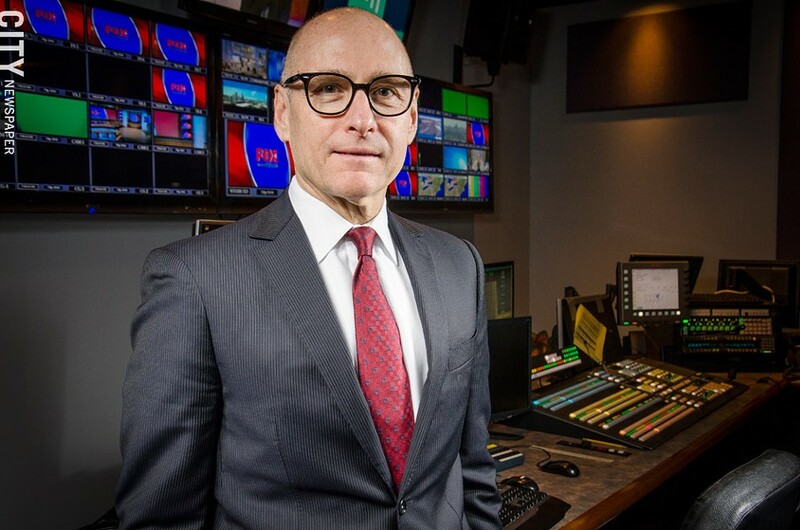 Sinclair Broadcast Group, the country's largest television conglomerate, owns WUHF's physical facilities and its broadcasting license, along with WHAM's physical facilities. And the news and sales employees at WHAM are Sinclair employees. WHAM's broadcasting license, however, is owned and held by Deerfield Media, a separate company closely linked to Sinclair. A Wall Street Journal article published in October says that Deerfield is owned by Stephen Mumblow, a former banker to Sinclair CEO David Smith. And the two companies jointly operate stations in markets across the country through what's known as sidecar agreements. Earlier this year, the public interest group Free Press released a report that heavily criticized the use of most shared services agreement by station owners. The report said that several of the largest broadcasting companies used the approach in various markets, including WROC owner Nexstar. But it took particular aim at Sinclair, since it's the largest of the companies and one of the most aggressive in its use of the agreements. The report said that between 2011 and September 2013, Sinclair went from owning or operating 58 stations to 161 stations. Sinclair purchased WHAM at the end of 2012, and part of that deal hinged on Deerfield buying the station's FCC broadcasting license. And like other critics, Free Press says that "covert consolidations" can diminish the quality of local journalism. Sinclair is highly critical of the report. It says that Free Press ignores the fact that the agreements are completely legal and that the company is operating within the law. And Sinclair notes that instead of laying off news staff and neglecting stations, it's investing in equipment and promotions and is actually hiring newsroom staff. In the 18 months prior to the report, Sinclair says it added 72 staff members to its newsrooms nationally. Chuck Samuels, general manager for WHAM Channel 13, says the station will move its morning and 10 p.m. newscasts to WUHF Channel 31. And in preparation for the changeover at 13WHAM, Samuels says, four or five news positions have been added. But WHAM's newscasts are the top-rated in Rochester. And with what Samuels calls the "shifting of voices" on local television airwaves comes another issue. Sinclair is known as a politically conservative corporation, and it's also been known to use its stations as platforms for politically charged content. Perhaps the most infamous example happened during the 2004 presidential race, when Sinclair directed its stations to show a documentary, "Stolen Honor: Wounds that Never Heal," which was critical of then-candidate John Kerry's anti-Vietnam War activities. Some subtle signs of Sinclair's leanings have surfaced in 13WHAM's products. The station's website now carries headlines from the Washington Times and Newsmax, both conservative news organizations. And a couple of times a week, the 13WHAM morning show runs segments featuring Mark Hyman, a conservative commentator. Former WHAM reporter Rachel Barnhart, who's now a reporter and anchor at WROC, has used her considerable social media presence to comment on Sinclair's conservative reputation. And she points to WHAM's use of Sinclair's Waste Watch franchise, which the corporate parent describes as "an initiative to investigate and report on how our viewers' local tax dollars are spent." Barnhart says that simply calling the segments Waste Watch presents an anti-government bias. "You're essentially telling the viewer upfront that something is wasteful before you let the viewer make up their own mind," she says. The local Waste Watch reporting, however, seems solid, fair, and addresses issues of concern across the political spectrum. One segment, for example, focused on the Rochester school district's teacher evaluation costs under Common Core standards, another on county contracts, and another on implications of new state gun-control laws. While Barnhart is concerned about Sinclair's documented political bent, she says that she's confident that her former coworkers won't be influenced by any agenda the parent company might have. "They're going to continue to do a great job," she says. "They have great people there. My issue is the other stuff in the newscast" that's not produced locally, she says. 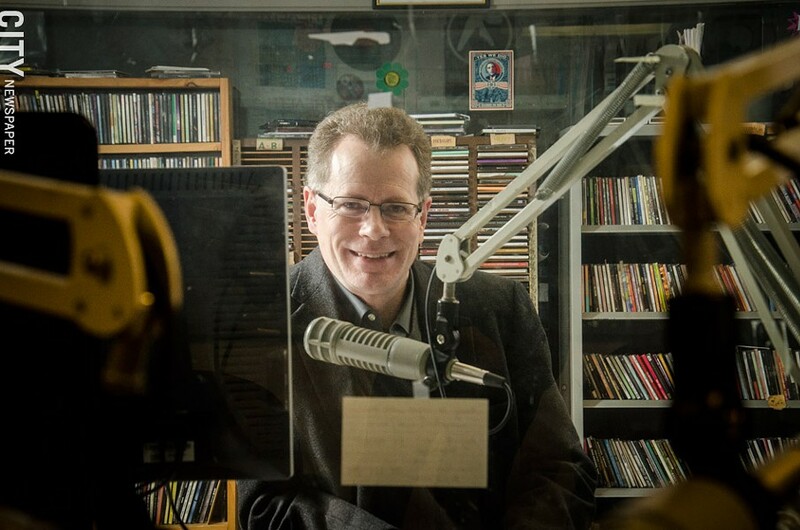 Evan Dawson, a 13WHAM anchor and reporter who's leaving at the end of the year to become host of WXXI's 1370 Connection, says that the station has experienced, locally focused people who make the decisions about local newsgathering and content. He says he has faith that they'll continue just as they have for the years prior to the new agreement. GM Samuels says that WHAM constantly receives material from the outside, whether it's from ABC, CNN, the Associated Press, or the Sinclair corporate operation. He's aware of Sinclair corporate's reputation, he says, but it's incumbent on the local news organization to make sure the outside material it airs is balanced in its entirety. As for the news that WHAM produces locally, Samuels says that no station owner has ever told the local organization how to report the news. And the station's integrity won't change, he says. "13 WHAM news is as strong as it's ever been," Samuels says. "We have some great journalists on our staff, and that's going to continue." 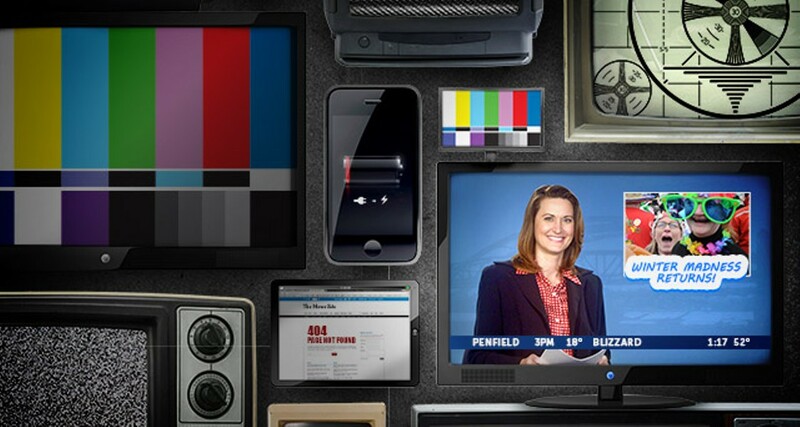 Discussions about media consolidation often focus on television or radio stations. But FCC ownership limits are intended to preserve as many local media voices as possible. And it's increasingly difficult to disentangle the effect that changes in one medium have on others, largely because of shifts in how the public consumes news and information. In particular, television stations and newspapers increasingly compete for local Internet traffic and ad dollars. A bigger concern locally may be the near-silencing of voices at the very ground level of journalism. Last month, Messenger Post Media laid off its entire Monroe County reporting staff. The papers since have been filled mostly with submitted content from community groups, nonprofit organizations, and politicians, as well as with ads. "If there's a harm currently to the number of media news voices, independent news voices, in this area, that is arguably worse than anything going on with the TV stations," says SUNY Geneseo's Saffran. GateHouse Media purchased the papers from Canandaigua's Ewing family several years ago. In recent years, the number of reporters working for the Post papers had shrunk, but the papers were still reporting on important topics and keeping tabs on suburban governments, Saffran says. On the good side, Rochester has two strong radio news outlets in WHAM 1180 AM, which is owned by Clear Channel, and WXXI 1370 AM, an NPR member station, Saffran says. But consolidation is a concern in the radio industry, as well, Saffran says, and could serve as a cautionary tale for TV. After Congress and the FCC loosened station ownership limits, large corporations went on a buying spree. Many radio stations have lost a sense of localism as a result, Saffran says, and format duplication is common. For WHAM, the new arrangement brings opportunities that Samuels says will benefit viewers. That station's newscasts are already first in the market in the Nielsen and Rentrak ratings. And while the opportunity to air its broadcasts on WUHF won't directly boost those ratings, it will potentially provide more exposure. And more viewership means more ad revenue. At the moment, the 13WHAM news team is also airing broadcasts on the channel's CW network station; that's where the 7 a.m. to 9 a.m. morning show and the 10 p.m. evening news air. Those broadcasts will move to WUHF, which has a broader reach than their current home. The signal is stronger, Samuels says, and unlike WHAM's CW network sister channel, it's accessible to Dish Network subscribers. The Fox network also has a strong sports brand, which may provide opportunities for 13WHAM's Bills pregame show, Samuels says, and its high school sports show. And while 13WHAM will have a broader platform for its news programs, it will still face competition from the two other commercial television news teams in Rochester: WHEC Channel 10 and WROC Channel 8. Cable channel YNN is another competitor, though it fills its own niche. And outside of news, the stations still program against each other, Samuels says. "It's the exact same number of news voices as there were before," Samuels says. "It's just that instead of WROC's voice on WUHF, it's 13WHAM's voice on WUHF. That really is the only difference here."